Each year, emergency rooms nationwide see upwards of 8 million patients due to slip-and-fall injuries. In response, homeowners and commercial business owners alike are installing anti-skid floor coatings to protect people and prevent harm or property damage. Professionally applied anti-skid floor products preserve and defend the very floor to which they are applied, creating a barrier against degradation and damage that can come from standing water, harsh chemicals, heavy equipment, or just wear and tear from day to day traffic. Could your Maryland property or commercial business benefit from professional anti-skid floor coating services? For anti-skid floor coating services in Edgewood, Maryland or nearby, give us a call at (443) 519-2628 or contact us online today! Prestige Floor Coatings products are durable and maintenance free. The ultra-strong topcoat keeps your floor looking good for years to come. You’ll never need to worry about cracks, tears, or breaks in your floor’s coating again! With extreme attention to detail, our floor coating technicians provide services that are truly built to last—no matter the weather! Our floor coatings are also as eco-friendly as they are strong, can be applied in any weather and are just as durable outside as they are inside. Our team of installers applies anti-skid floor coatings in as little as 72 hours. Contact us today for professional anti-skid floor coating services in MD, VA, PA, DC, or DE. For over 22 years, Prestige has been the leading innovator in concrete floor protection. Our anti-skid floor coatings come in a variety of colors and textures, each one geared toward the specific site. The residential homeowner, for instance, would likely prefer a somewhat finer grade texture applied to his or her patio than the business owner might use in his or her commercial warehouse. 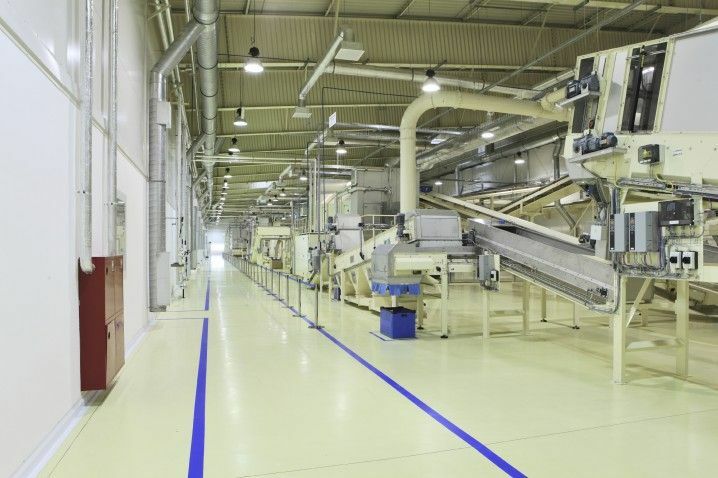 To view our extensive gallery of epoxy floor coating options, click here. The concrete floor in your warehouse, industrial facility, garage, basement, patio, or outside stairways can become pretty hazardous in ice, snow, rain, or with the presence of liquid. As a responsible home or business owner, it’s up to you to prevent injury to your guests, friends, family, and clientele. 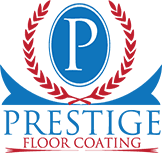 Why not protect your concrete as well with one of the anti-skid floor coatings from Prestige Floor Coating? Prestige Floor Coating manufactures and installs superior floor protection. Our team of in-house chemists has created a coating for your floor that’s impervious to oil, liquid, and caustic chemicals. Our specialized floor coatings are designed to withstand the climate in the Baltimore, Maryland area and all along the east coast. To schedule anti-skid floor coating services for your business or commercial property in Maryland, Virginia, Delaware, or Pennsylvania, contact us online today! We offer free, no-obligation estimates—just dial (443) 519-2628.